Anton Page are delighted to introduce 17-21 Wenlock Road to the market, an office investment opportunity in Shoreditch, totaling 11,070 sq. ft.
Comprised of 4 commercial units, the space available to purchase is multi-let and income-producing, with varying unit sizes and lease lengths. Priced at £8,325,000 the purchase would also produce Net Initial Yields of 5.37% assuming purchaser’s costs of 6.37% and reflect capital values of £752 per sq. ft.
17-21 Wenlock Road, or The Cube Building, is an award-winning, mixed-use Hawkins/Brown 2015 Development. It is situated within the tech district of Shoreditch, moments from the infamous Silicon Roundabout and overlooking Wenlock Basin. Approached from City Road, the building is well connected to Old Street and Islington, areas which have been subject to substantial investment and development over recent years. Small and large scale property developments continue to be built alongside the ever growing list of high profile occupiers in the neighbourhood, including Google Campus, Amazon, Capital One, Adobe, Silicon Valley Bank, Jamie Oliver and LK Bennet. 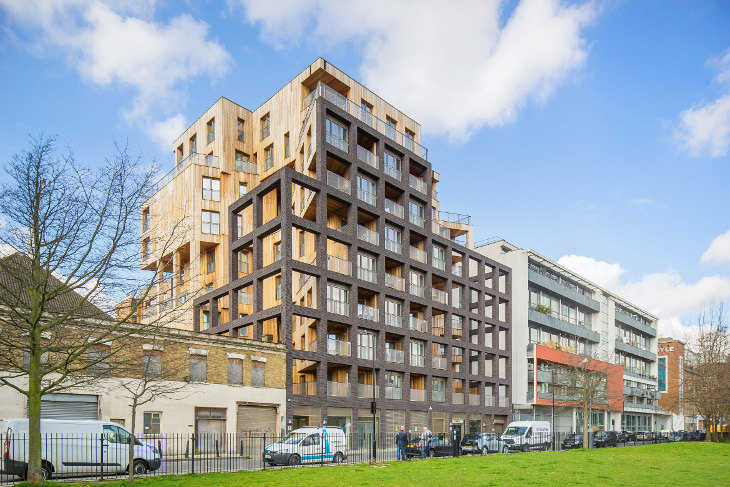 The building itself is ten-stories and has been labelled as one of the tallest hybrid timber structures in the world. The four commercial units for sale are situated on the ground and lower ground floors and are fitted to a category A standard. The commercial accommodation also benefits from an impressive reception area with concierge, which is integrated with the residential occupiers. There is also a very attractive and private canal-side garden area which provides a superb outside space.